Breakfast is the most important meal of the day. It is the perfect thing that motivates us to get our lazybums out of bed as early as 8am. We truly believe that a good/bad breakfast will define your mood for the day. Here’s a list of breakfast spots in the East that will make you reconsider waking up early. Enjoy! Good, artisanal pratas are hard to come by. 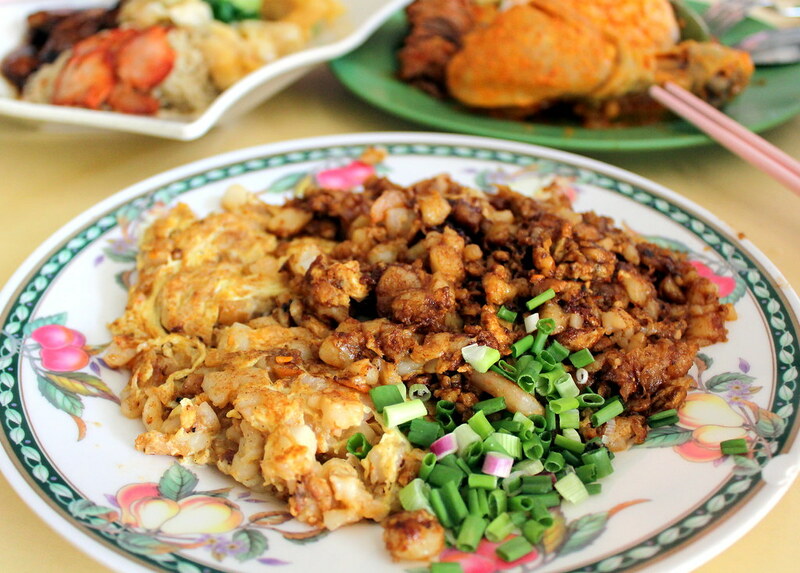 Meet Mr and Mrs Mohgan, the couple who does super crispy roti prata in the middle of Joo Chiat. 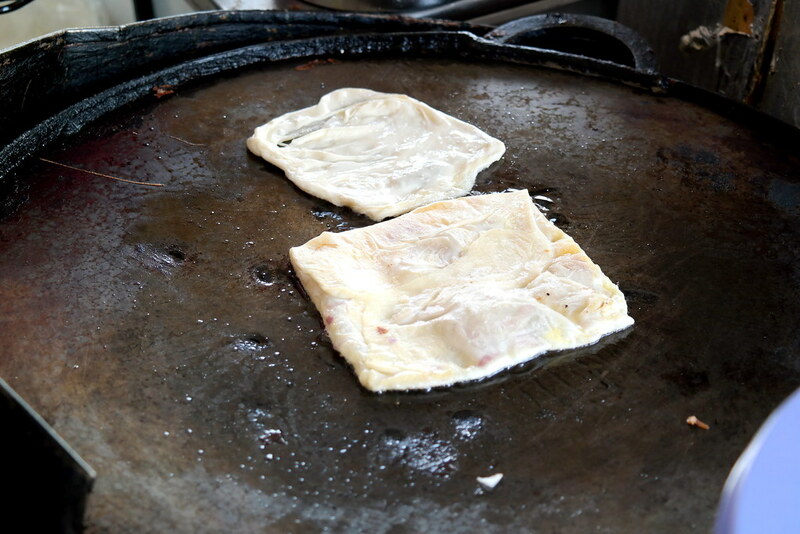 Mr Mohgan has been making prata for more than 30 years. He makes his own dough, cooked the curry and flips the prata all by himself. 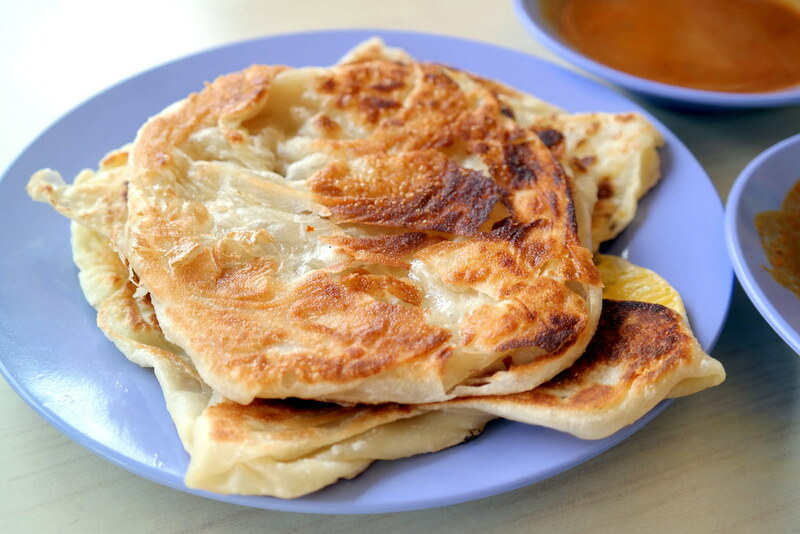 What’s the best way to find out if the prata is good? Eat the kosong (plain) one! I ordered a stack for my foreigner friends to try and they were full of complements. 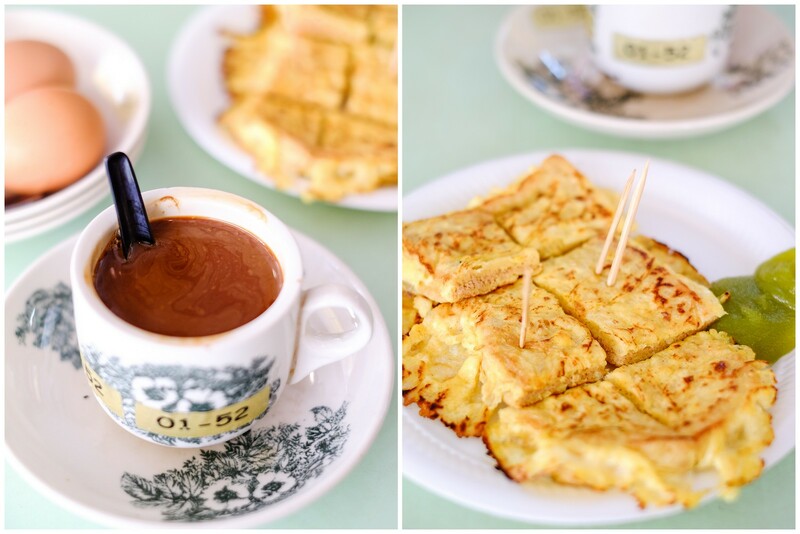 Moderately thick and pan fried till a beautiful brown, the pratas here are fresh and SUPER CRISPY. Very satisfying breakfast! Having spent quite a little while abroad, I’ve come to realize how lucky Singaporeans are to be able to enjoy our “kopi-o” with traditional kaya toast at old school coffee shops. 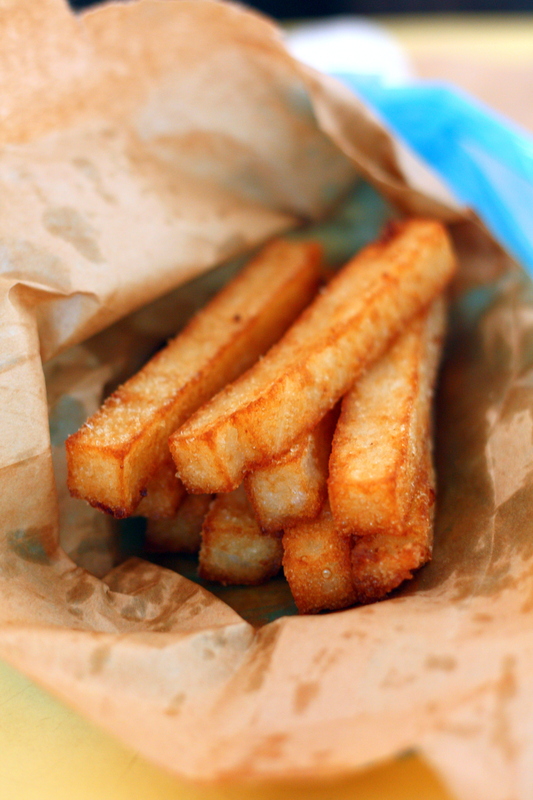 It’s impossible to look for such comfort food within a nostalgic setting that’s affordably priced in Western countries. 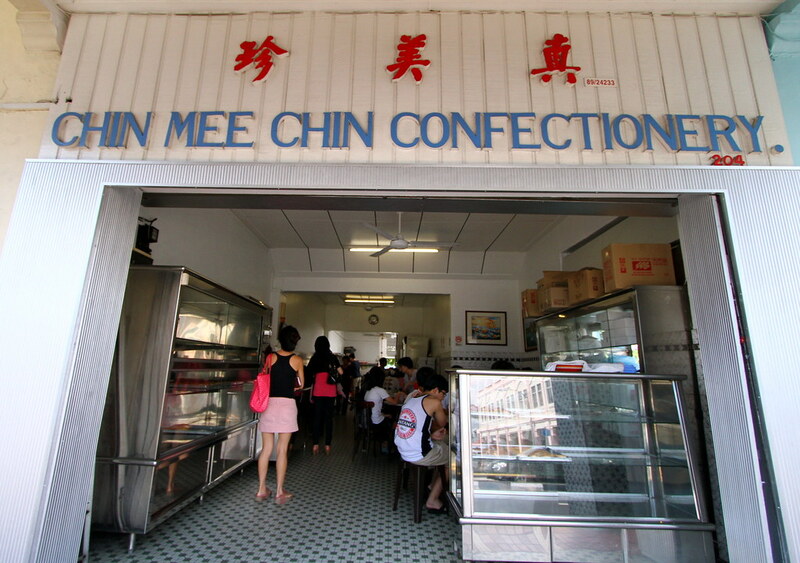 East-siders will be familiar with Chin Mee Chin Confectionery. Their kaya toast comes in buns rather than bread slices. These buns are made in-house and toasted till slightly charred. Generous slabs of kaya is then, spread on the buns, followed by a little chunk of butter. Imagine watching butter melting on the skillet before you cook and the aroma that lingers in the air. That’s the little action taking place on your warm toasted buns. Besides their popular kaya buns, Chin Mee Chin Confectionery is also famous for their custard cream puffs and egg tarts too! 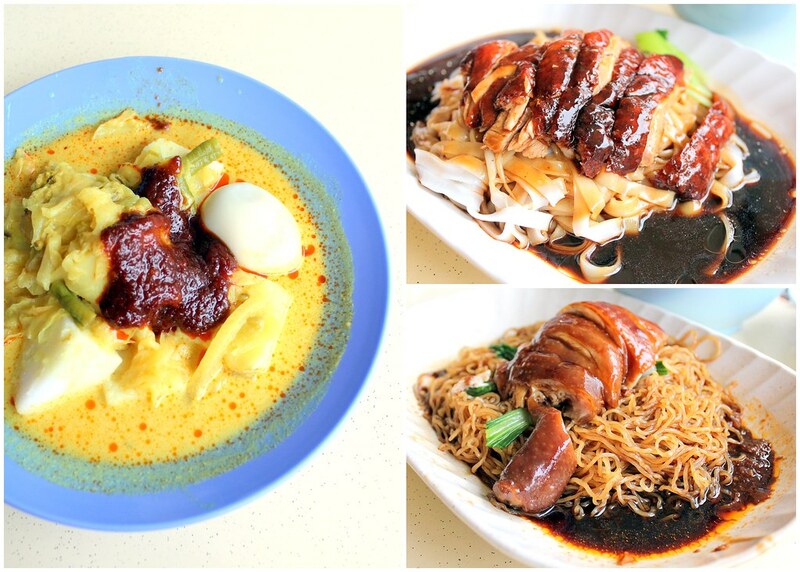 Used to be at Yishun, Yong He Bak Chor Seafood Noodles have relocated to Bedok a few months ago. He is actually the uncle of Ah Guan Noodles and brother of Ah Lam’s Abalone Noodles! So the whole family has been targeting seafood noodle! For $4.50 a bowl, you get a bowl of noodles tossed in homemade chilli sauce, and served with fresh prawn, clams and well braised mushroom sauce. The noodles were splendidly cooked, it’s springy, tasty, aromatic and of course, well larded. The braised mushroom slices gave the Mee Pok another delectable dimension, with its sweet and deep flavour from the prawns and clams. The deluxe $10 version comes with either big prawns or crayfish. 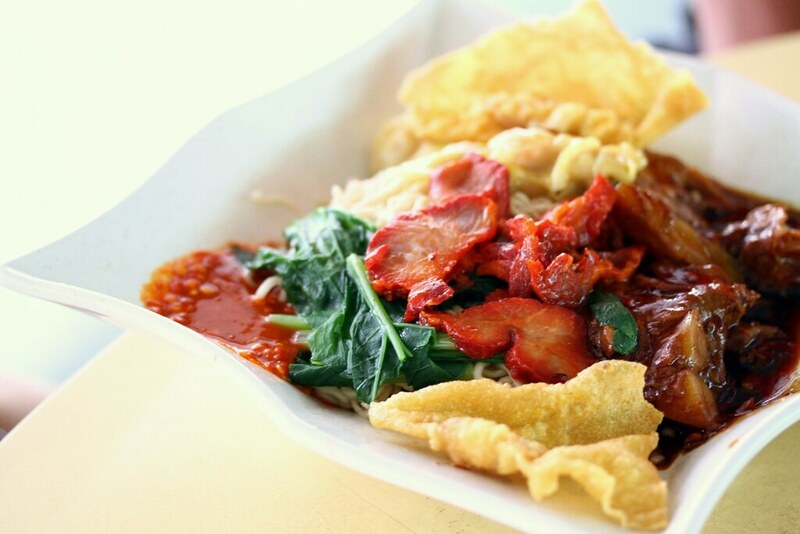 Opened last year end, owner Ibu Bida gave up her corporate job to start a hawker stall. She hired a talented Indonesian cook from Tanjung Pinang to whip up a good spread of dishes. They do breakfast items in the morning. 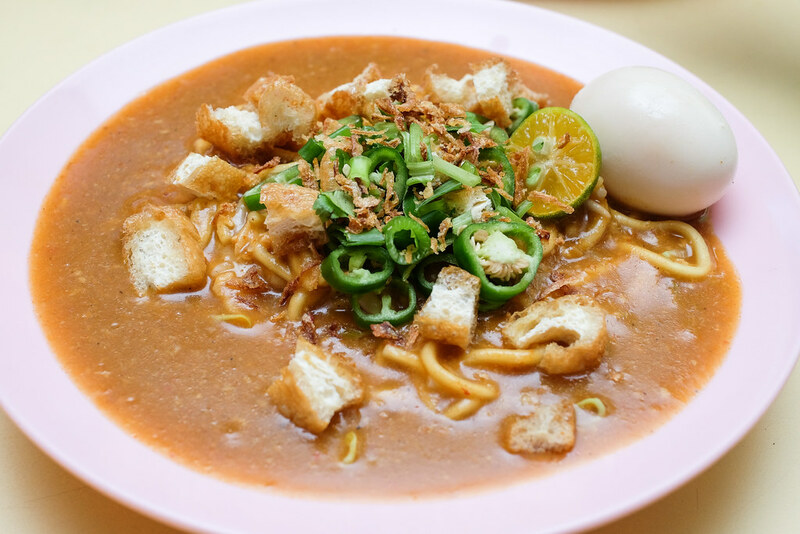 Mee Rebus ($2.50) – a simple dish of thick yellow noodles with taupok, green chilli and a hard-boiled egg drenched in a flavourful spicy-sour gravy. The gravy is not overpoweringly starchy. The star for us was the Mee Soto ($2.50). The soup has many layers of flavours and a perfect balance of spices – not one outshines the others. It is strong, rich and robust, unlike the many versions out there that are weak and lack depth of flavour. Forget about the Mee Siam. Read about our previous review. Opening Hours: 7am to 4pm, Closed on Tuesdays. Young hawkers Joanne and Daniel learnt the skill from Joanne’s father and they wake up very early everyday to make the fishballs. Using yellow tail fish (蕃薯鱼), they beats them into fish paste for an hour before making it into fishballs and fish cakes. That is why their fishballs are so fresh and bouncy! 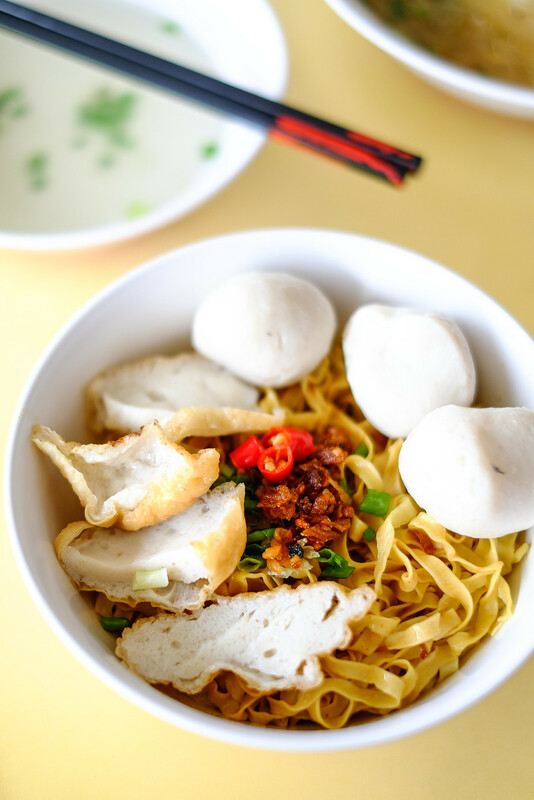 The mee pok is very springy and well-tossed with their homemade chilli sauce, vinegar and lard. Opening Hours: Tue-Sun 7.30am to 1pm. Closed on Mondays. 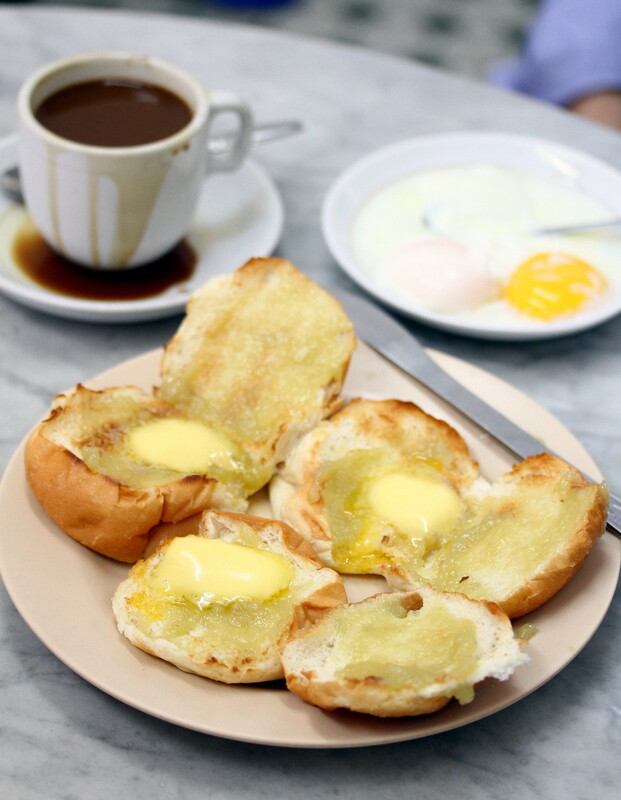 Toast Hut is the place for traditional kaya (coconut jam) toast set by young hawker Melvin Soh. He picked up his skills at a local kaya toast chain when he was 17 years old. After working there for three years, he opened his own stall in Old Airport Road Food Centre in 2007, serving kaya toast paired with home-brewed traditional coffee, which he learnt from his father. 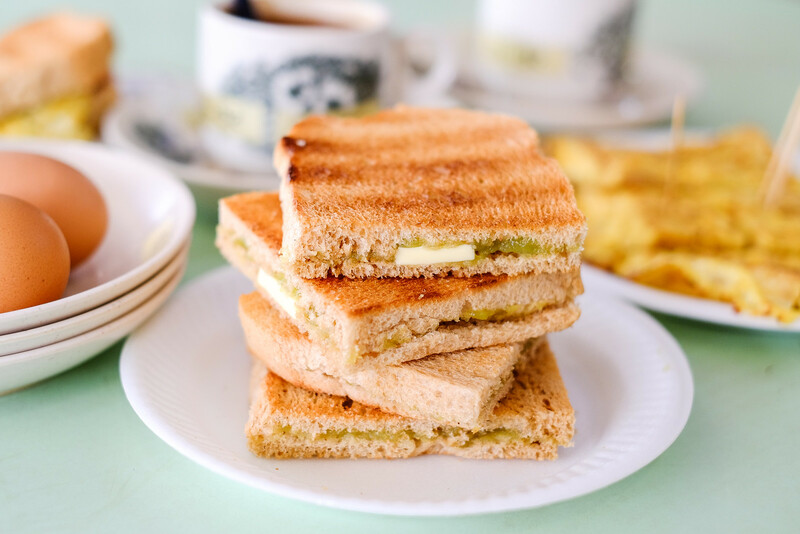 Aside from the signature items, he serves blended ice coffee to cater to his young customers and freshly made sandwiches using traditional kaya toast bread. In response to the health consciousness of Singaporeans, kaya used in Mr. Soh’s stall is specially created to make it less sweet and not cloying when served with coffee or tea. Occupying just half a stall at Tampines Street 21, Fu Yuan Teochew Bak Chor Mee is really an unassuming establishment. The owner is formerly working as an assistant with Twa Hua when he was a young boy. At first glance, the mee pok looked a tad dry. But once the noodle and sauce were tossed up, they came together nicely. The noodles sits in a small pool of vinegar-based sauce and which is slurping good. Especially the vinegar, very fragrant and seems like it’s a superior brand. Topping the al-dente noodles are a mixture of minced pork, liver, pork balls, fried sole fish, etc. You get a bowl of soup on the side as well. Read about the full review here. Business is overwhelmingly good that this kway chap stall only opens from Friday to Sunday so expect long queues forming. Well, good things are worth the wait right?! Queuing must be one of Singaporeans’ favourite pastimes. Standing in the queue with groups of aunties and teenagers chatting at the top of their voices made me feel as though I’m in a mini wet market. 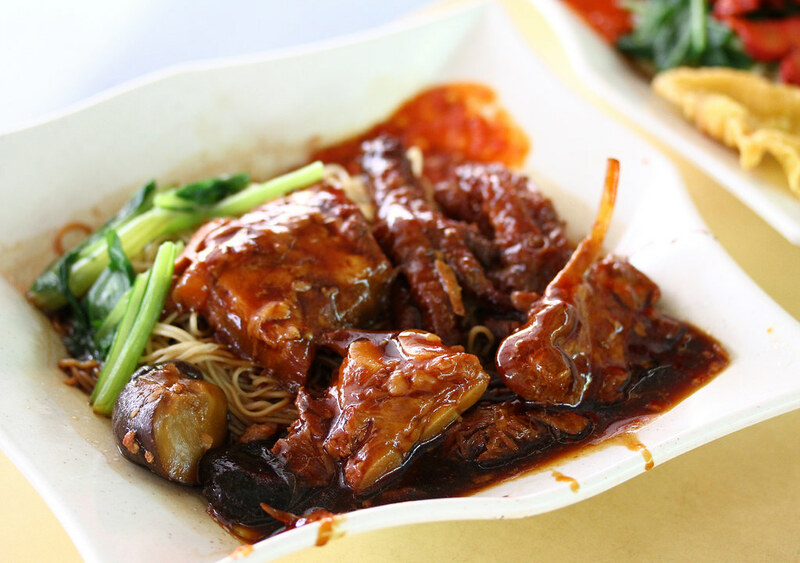 Xing Yun’s kway chap are braised to perfection. The translucent kway is slippery smooth and does not break easily in the sweet and aromatic broth. The braised pork belly, pig’s intestines and tau pok are well-flavoured. We enjoyed the braising sauce’s good consistency as it is not too thick nor too watery. The ingredients are stewed long enough for the spices to penetrate into them. 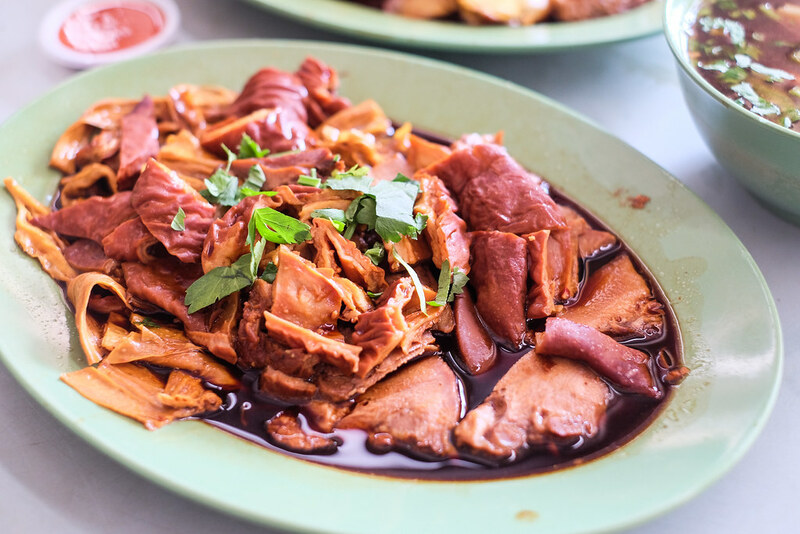 Many people are skeptical when it comes to pig intestines due to an odour but fret not as Xing Yun’s intestines are tender and absorb the braising sauce so well that the odour is gone. Adventurous foodies can attempt to try pig’s tongue while big-eaters should definitely go for the pig trotters! Dip the morsels into a tangy spicy chilli sauce for that extra kick! Opening Hours: Fri-Sun 8am to 1pm. When every other stall’s deep fried carrot cake is square, Chai Chee’s version is long and freshly deep fried. Each carrot cake stick is crispy on the outside, yet soft on the inside. It is one of my favourite breakfast snack whenever I am in Bedok. Best paired with Rui Xing Ka Fei Cha Shi stall located at #01-42. Being the top foodie pick in Sarawak, of course Singapore’s version cannot be compared to those served in Sarawak. Our version is different but decent. 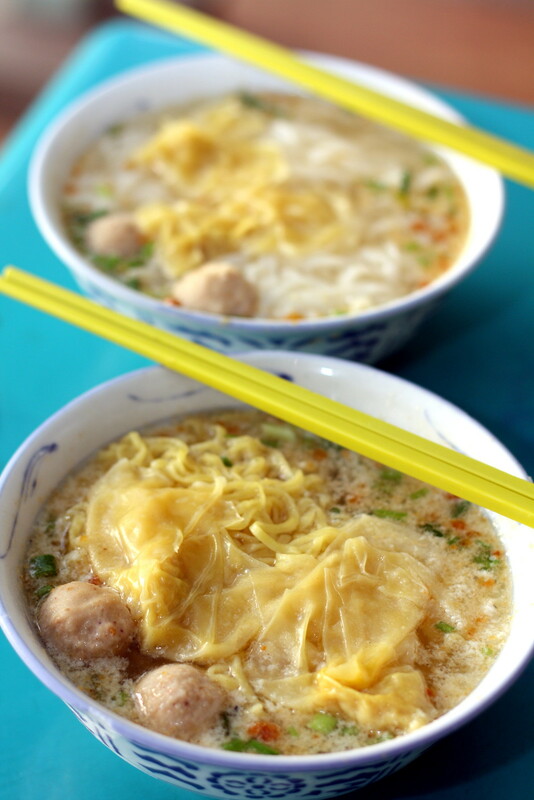 Don’t confuse this dish with wanton mee! Kolo noodles are cooked, drained and dry-tossed with different sauces, hence the name “kolo”. 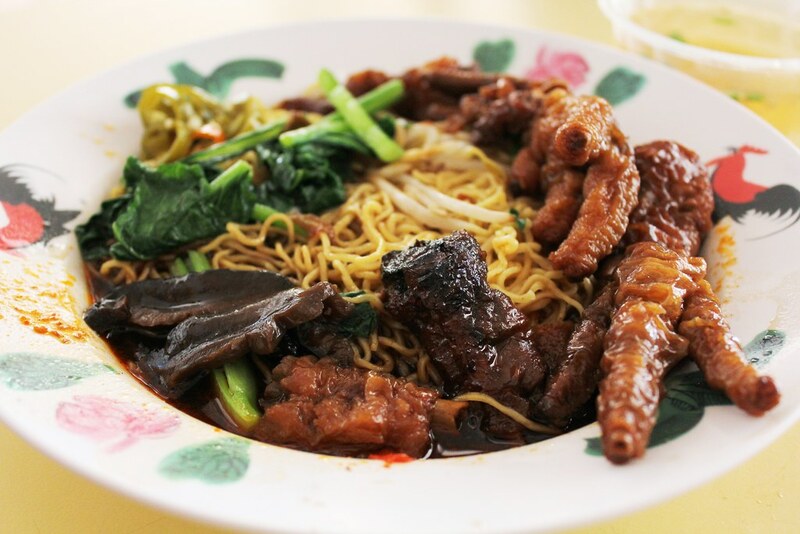 Usually, the must-have ingredients are springy and oily noodles, minced pork, char siew and vegetables. Sometimes, wantons are added. Hammee's - NEW Premium Beef Cheeseburger with a Juicier Short Ribs Beef Patty! 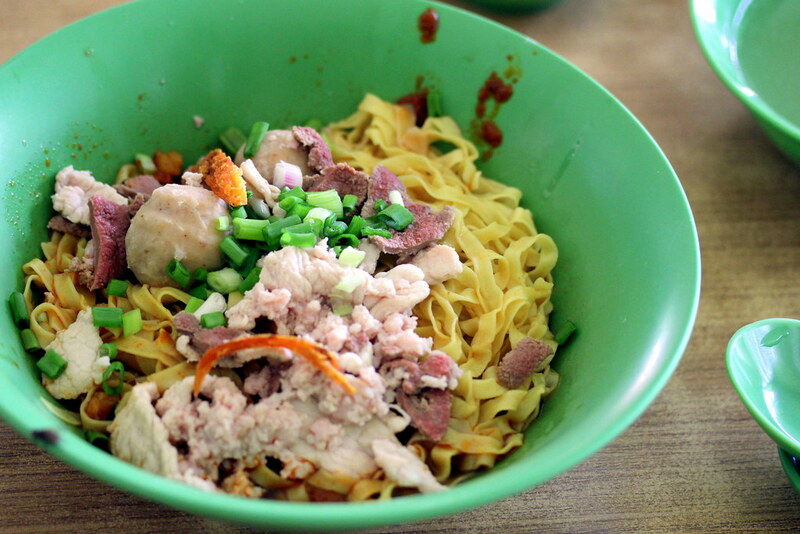 Yummy Sarawak’s Kolo Mee doesn’t consist of minced meat but its curly kolo mee is good! These noodles are only made of egg whites, hence lighter in shade and don’t contain alkali. I can’t help but salivate when the cook tossed the noodles together with the sauces. I guess the fragrance makes the stomachs of everyone who are still in the queue growl with hunger. 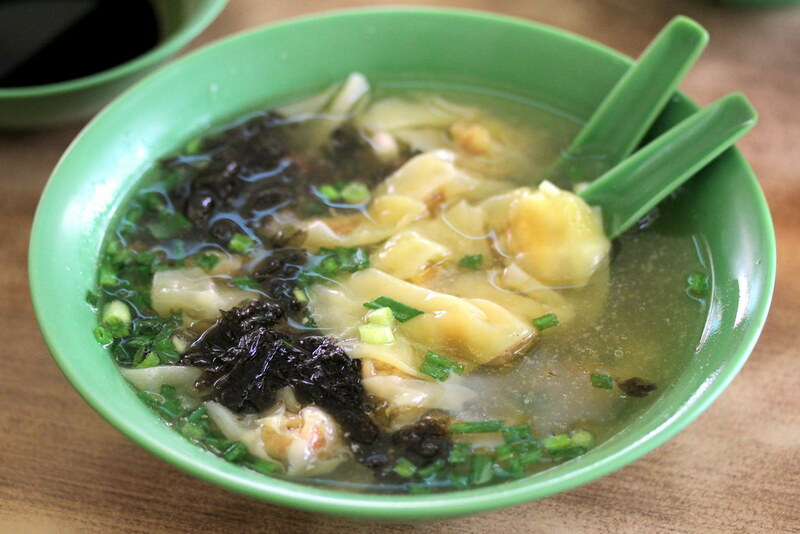 Huge wantons with crunchy water chestnuts complement the noodles so don’t miss out on these! We also had the Chicken Feet Spare Ribs Noodles which was well-braised and flavourful. Opening Hours: 5am to 3pm daily. 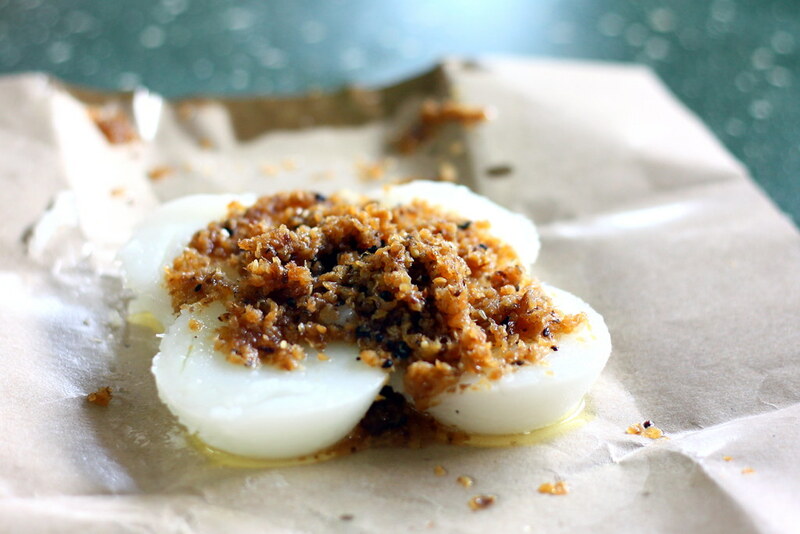 One of the cheapest chwee kueh in Singapore, Bedok Chwee Kueh is a popular breakfast for residents in the East. They are pretty generous with their radish and not very salty. 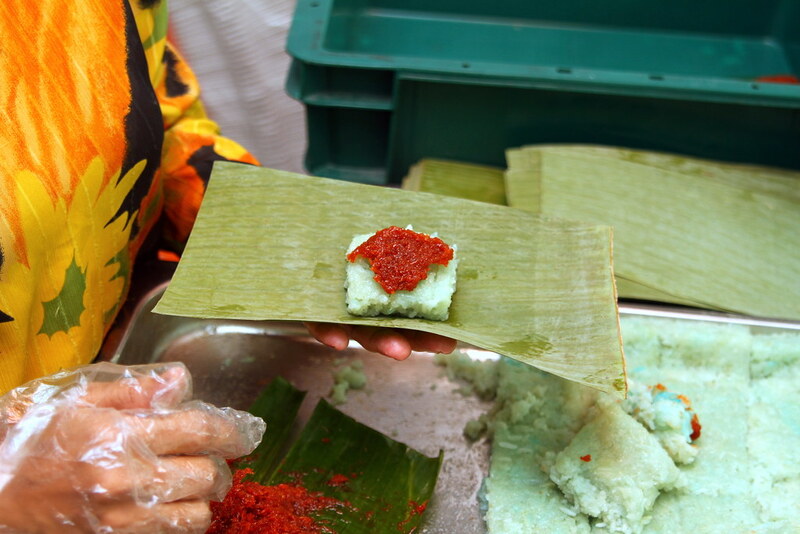 The steamed rice cakes are soft and do pair your chwee kueh with the chilli sauce. 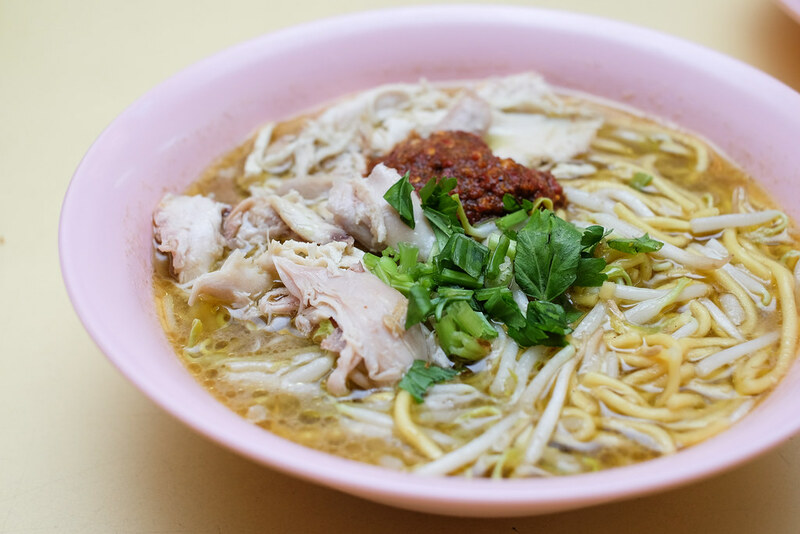 If you have always been eating Bedok 85 minced pork noodle soup for supper, now you can try Tian Nan Xing minced pork noodle at Blk 511 Bedok North. With more than 80 years of history, the stall is now managed by 3rd and 4th generation. 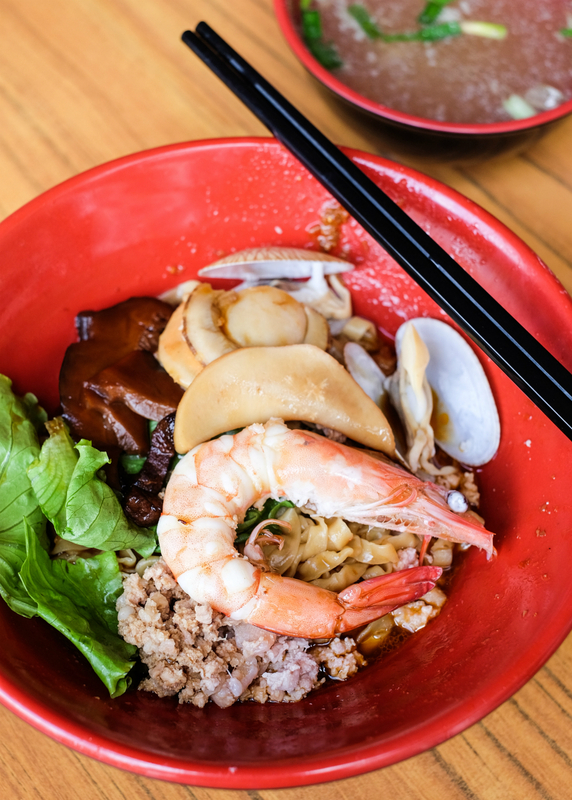 They focus on using good and fresh ingredients, hence each bowl of bak chor mee is flavourful and tasty. 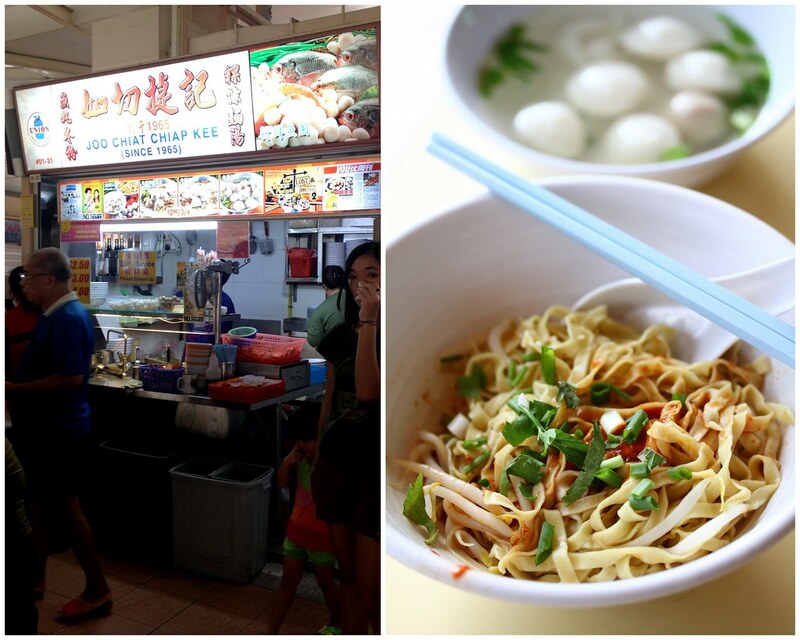 Like the other BCM in Bedok 85, Tian Nan Xing has minced pork and pork balls in the noodle soup ($3). But if you add extra $1, you will get their homemade dumplings. The springy noodles with tasty soup create wonders, the soup is sweet and makes you want to have another bowl. 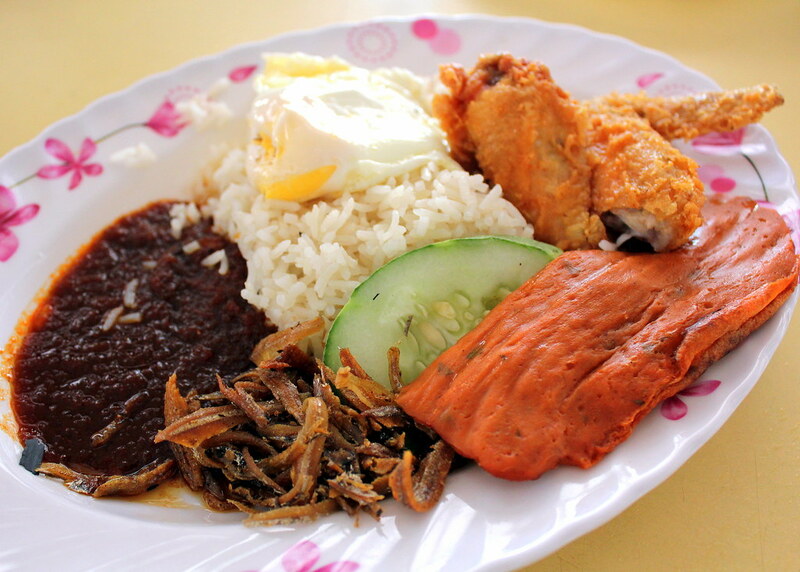 Everyone who frequents Changi Village would know about the nasi lemak served at Mizzy’s Corner. My family and I love it for its value for money, and we would invariably leave with very satisfied tummies. The standard chicken nasi lemak set which costs $3.50, comes with a fried chicken wing, a fried egg and ikan biliss, sambal and a slice of cucumber. Unfortunately, the rice is not fragrant enough and it is too soggy. A piece of mackerel otak otak can be added for an additional $1. Opening Hours: Mon-Thu 7am to 11pm. Fri, Sat & Sun 24 hours. Hands up for those who still eats ang ku kueh. We probably spend most of our time finding good brunch places and forgot about the old traditional kuehs we used to eat when we were young. 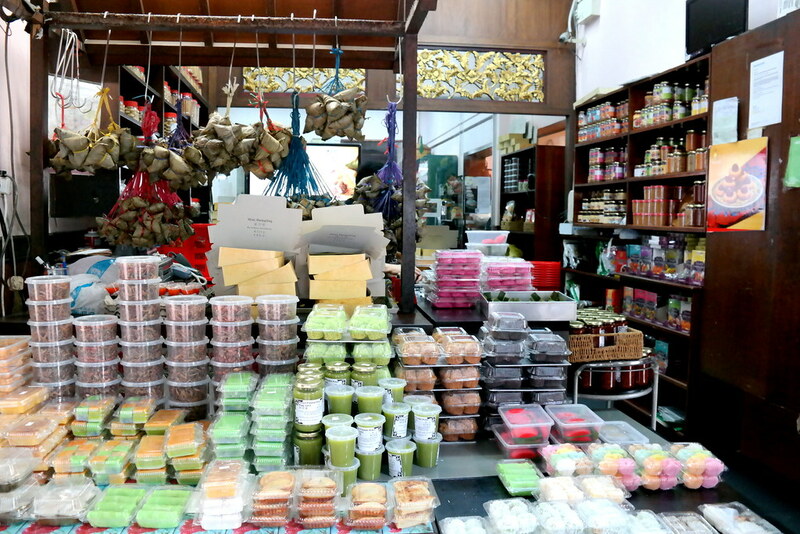 Lek Lim Nonya Cake Confectionery is a old traditional shop in Bedok which has more than 48 years of making its own ang ku kuehs, nonya kuehs and other festivals kuehs everyday. It is pretty rare because most of the ang ku kuehs we see in shops are from factories. The Soon Kuehs and Ku Cai Kuehs here are pretty famous too. The ladies make them every afternoon and the skin is soft and slippery. When steamed, the skin was translucent and thin, packed with big fat fillings. These kuehs are sold fresh everyday over the counter and contain no preservative. This stall is actually halal certified! This malay aunty here was busy wrapping the Bulok Inti, which is a sweet blue glutinous rice with coconut shredding on top. Carrot cake here thrills my tastebuds and rivets my attention. The owner of this stall serves up a generous portion of black and white carrot cake just for the price of $3. It has a texture that is soft, light and melts in your mouth right away. The tasty chilli is fragrant and not overly spicy. The uniqueness of adding small shrimps imparts a distinct crunchiness as you enjoy each morsel of food. 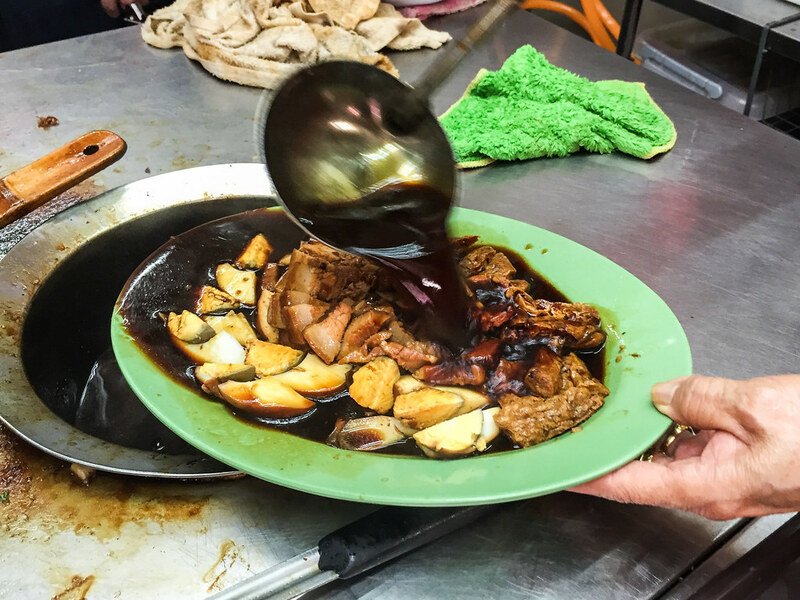 This stall is especially suitable for families wherein some members prefer the black version with its thick and sweet dark sauce but others go for the white one that tips towards the savoury end. Opening Hours: 6.30am to 1pm daily. I have very high expectations on how roast meat from a particular stall should measure up when it comes to these Hong Kong style roast cuts. Surprisingly, Hua Zai HK Style Roasted Delight Rice/Noodle was a hidden gem that I stumbled upon by chance. The roast meats are very well-prepared that it’s obvious the stallholder has the roasting temperatures right at his finger tips. The roast pork is served up warm, with skin so crispy it crackles in the mouth, lending a dainty contrast to the texture of delightfully tender meat. These roast meats are served with either noodles or rice over here and I have a particular fondness for the well-seasoned char siew. The meat is succulent with a hint of sweetness. This stall serves tasty and tender soya sauce-braised chicken too. Besides roasted meats, this coffeeshop serves delicious Muslim Food too, amongst which longtong is my favourite. I enjoy the soft and fluffy texture of the rice cakes with wisps of fragrance carried over from their banana leaf wraps. The spices used are perfectly blended into the longtong, making it taste heavenly. Opening Hours: Roasted Delight opens daily from 8.30am to 8.30pm while Muslim Food opens daily from 6.30am to 2pm. 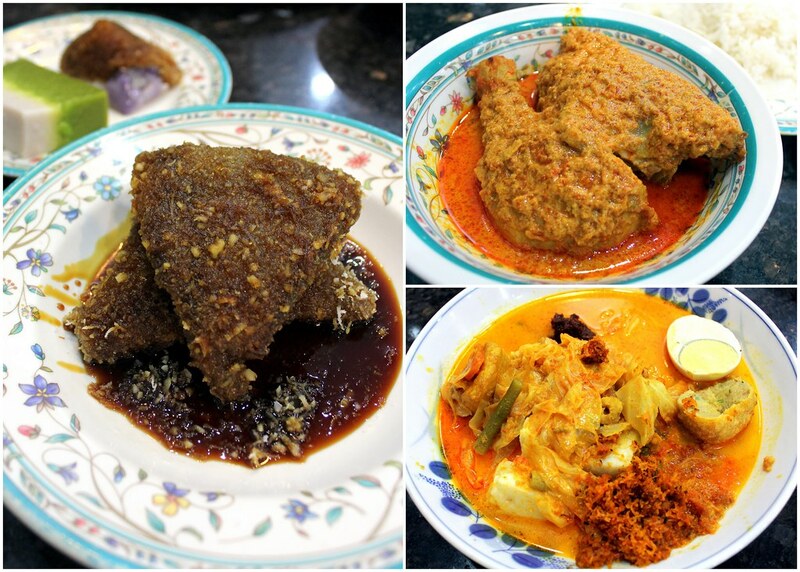 Craving for Nasi Padang-styled and Nonya-styled cuisine? Glory’s the right place to head over! 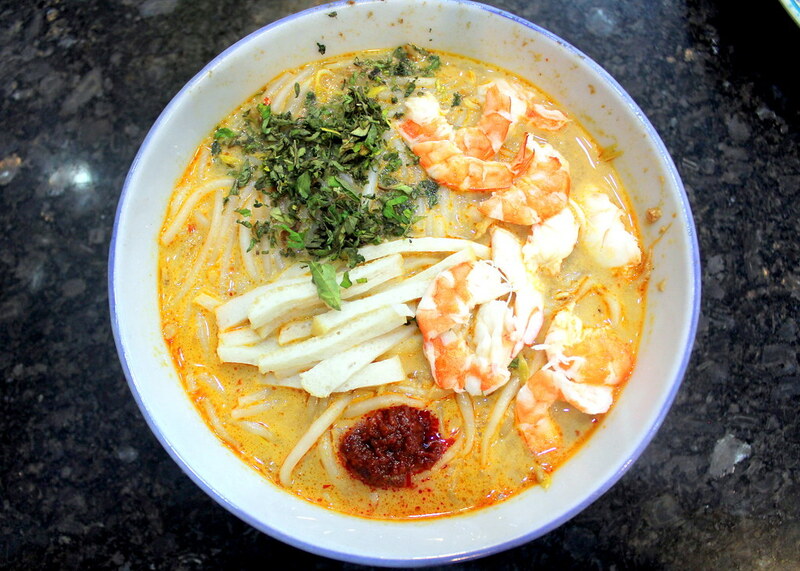 Their Nonya Laksa and LongTong are crowd pleasers. The former stood out for me as it is milkier and less spicy but still rich in that uniquely Nonya flovour. It comes with generous helpings of prawns, fish cakes and lemongrass sprinkled on top that helps to rack up your appetite. The LongTong here is very smooth and go after the milk curry with its feel of graininess that comes from the pinch of dried shrimps plus grated coconut dry-fried to a golden brown. The vegetables are soft and tender but not overdone. End your meal with Nonya kuehs (bite-sized pastries) are a specialty of Glory. The kuehs here contain the right amount of sweetness, texture and delivers a burst of flavours the moment you bite into them. It’s favourable to walk in with an empty stomach so you can savour all the Nonya delights you want! Opening Hours: Tue-Sun&PH 8.30am to 8.30pm. Closed on Mondays. Even though they no longer make their own carrot cake, but after getting it from supplier, they will add some “secret” ingredients to make to make it softer. The owner will first stir fry the garlic and chai poh till fragrant, then add in some carrot cake pieces, pour over the egg batter and fry with black sweet sauce and fish sauce. 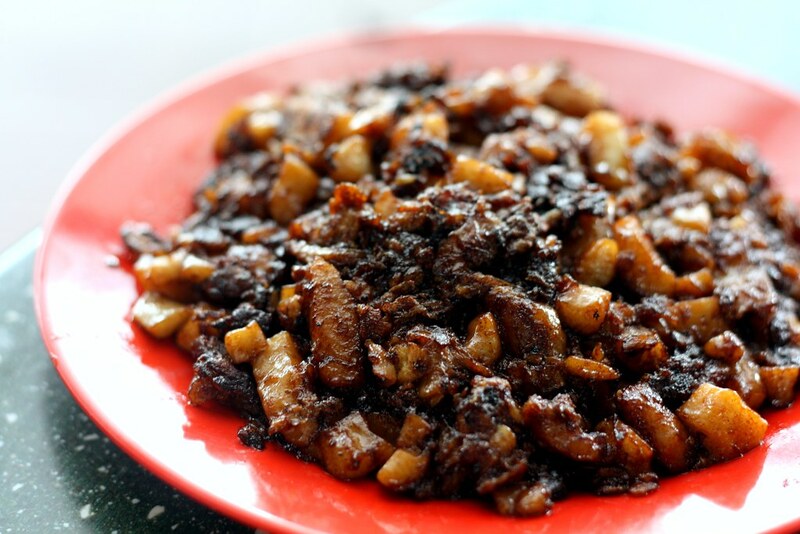 Song Zhou’s black carrot cake is very very fragrant and wet. Each piece of carrot cake is so soft with aromatic charred edges. What I love about it is, they are very generous with the eggs and black sauce, hence giving it a sweet and savoury taste. The white one is also not bad, but I still preferred the black ones. And to be frank, I think the uncle does a better job than the wife. The owner said, there is no secret to frying a good plate of carrot cake. What’s most important is to control the fire so that the heat will be balanced during frying. Koothurar Nasi Briyani - No Signboard but Sold Out Within 3 Hours! It’s hard to miss this stall when there’s always a snaking queue smacked in the middle of Eunos Market and Food Centre. I enjoy its savoury gravy that is thick but not overly starchy and full of flavours. You’re able to add your desired amount of condiments which include chopped garlic, sliced chilli, sambal chilli, chopped spring onions and vinegar. Prefer a tangier taste? Pile up on the garlic and vinegar! Served with half a braised egg with my favourite kind of creamy yolk and thin slices of pork belly well-seasoned with 5 spices, having this for breakfast starts the day on a right note! Wait, did I mention about the fried fish? 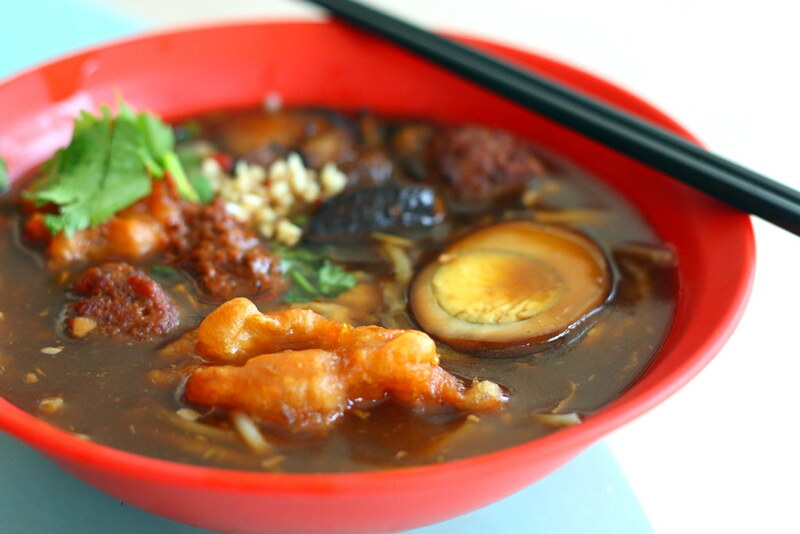 This is the highlight of the Lor Mee – crispy yet moist within, it complements the dish so well. This Char Kway Teow owner does everything single-handedly, from taking orders all the way to frying it and serving the fragrant noodles into your hands. He has a perfect rhythm while frying char kway teow, adding fresh prawns and squid into the oil before the noodles. It’s hard for your stomach not to growl while waiting in line but this is definitely worth your wait. The fluffy noodles coated with spicy, eggy goodness, gives this dish a lovely taste and texture. It has enough wok hei, the right amount of charred-ness and a spice level that was perfect. The cockles were plump and some crunchy beansprouts were scattered among the noodles. Strips of garlic chives completed the dish. Instead of your usual super black and sweet flavour, you get a more savoury finish, with just the right amount of smokiness here! Opening Hours: Daily 8am to 1pm. Made from starch, eggs and some secret blend of spices, it takes about 5 hours to cook before you get the smooth and light gravy. The gravy coated the noodles very nicely and portions of braised pork belly and fish are quite generous. 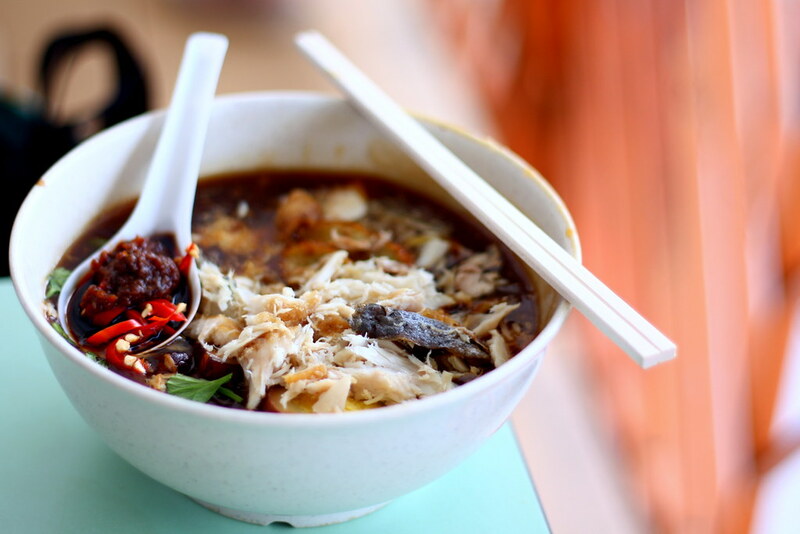 The modern version of lor mee contains fried fish but Xin Mei Xiang’s version still sticks to tradition and tediously hand-shred Spanish mackerel. Ain’t a fan of yellow noodles? 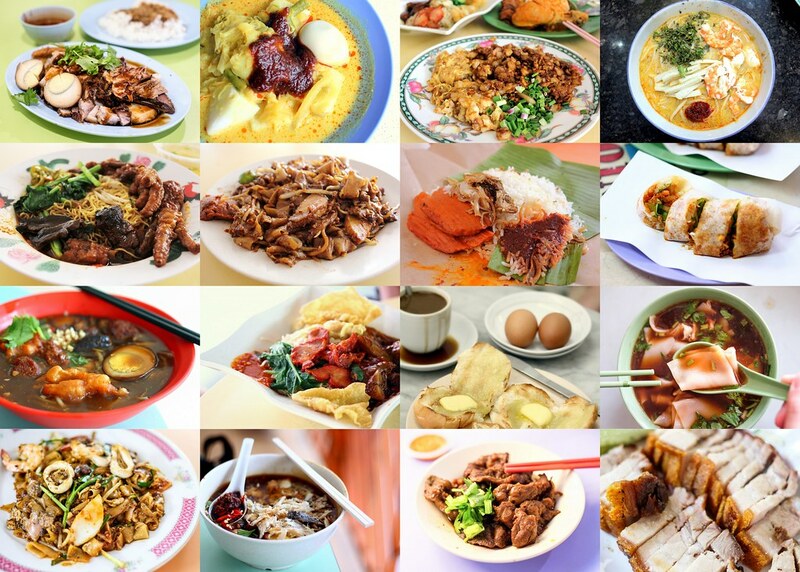 You can opt for kway teow or bee hoon or any combination of them here! I thoroughly enjoyed the textures and mix of savoury, sweet and tangy flavours. People often say, “money can’t buy happiness” but for $4, I had a well-concocted bowl of lor mee, which I see as one of life’s simple pleasures. Opening Hours: Tue&Wed, Fri-Sun 6am to 1.45pm. Closed on Mondays and Thursdays. Otah here is prepared on the spot and freshly wrapped. The otah has a good balance of chilli and fish and exudes ethereal fragrance when served hot. The filling within contains chunks of mackerel meat and the spices packs quite a punch. What I enjoyed most was the packet of traditional nasi lemak wrapped in banana leaves that this hawker still prepares. Consisting of fried fish, an egg, ikan bilis and peanuts, it made me reminisce the days when my late grandmother would tabao this back for me on weekends for breakfast when I was young. Opening Hours: Mon-Fri 10am to 4pm. Sat&Sun 7am to 4pm. Closed on Wednesdays. 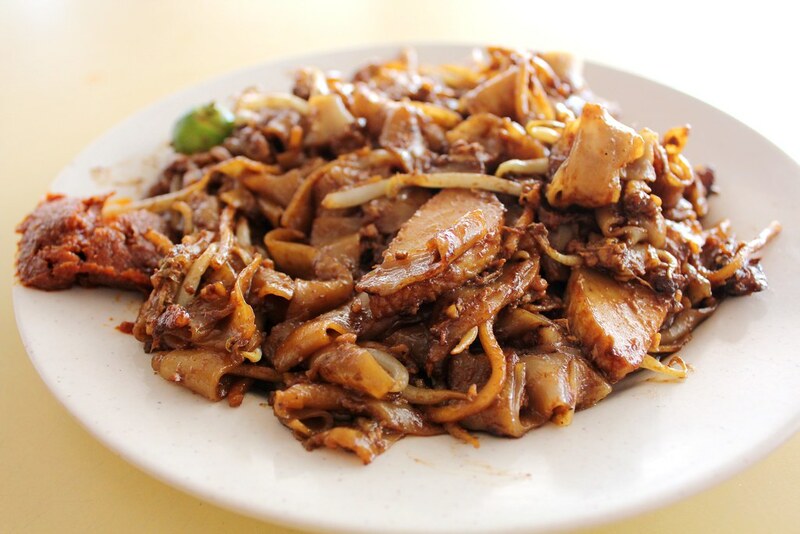 The elderly hawker does all the cooking and the end result – a wonderfully charred plate of kway teow that’s out to tantalize our tastebuds. He makes it a point to fry only one plate at a time so be prepared to wait for your plate. 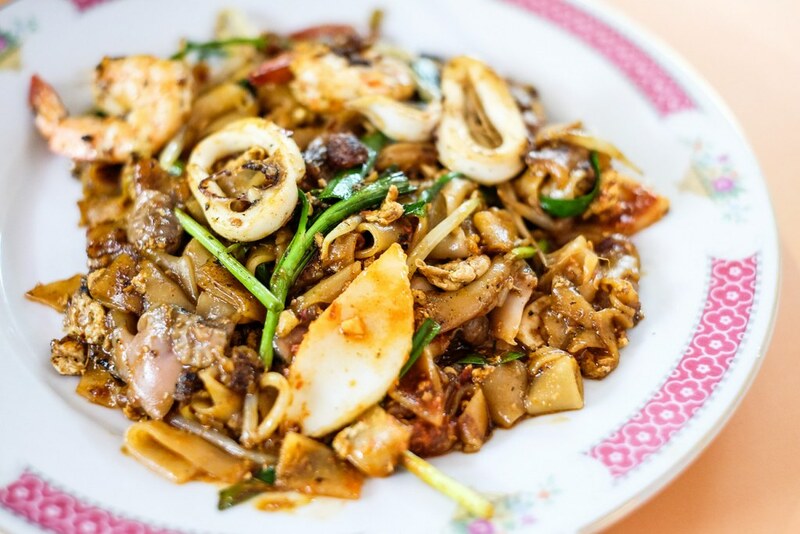 A plate of char kway teow consists of a mixture of flat rice noodles and egg noodles, perfectly stir-fried with eggs, cockles, lap cheong, bean sprouts and Chinese chives. I’m not sure which particular stall you frequent but I grew up eating from this old uncle hence, sharing my wonderful childhood experience with you. Opening Hours: Daily 7am to 10pm. Many might be familiar with this hawker’s wanton noodles but I prefer their mushrooms and chicken feet noodles, soaked in their special sauce. The sauce is sweet with a slight salty aftertaste. The sour chilli cranks up the tastiness of this dish and I like it that these noodles are soggy, while not overly soft at the same time. Be warned though, the queues can get quite crazy on weekends! Opening Hours: Daily 9am to 10pm. Closed on Mondays. 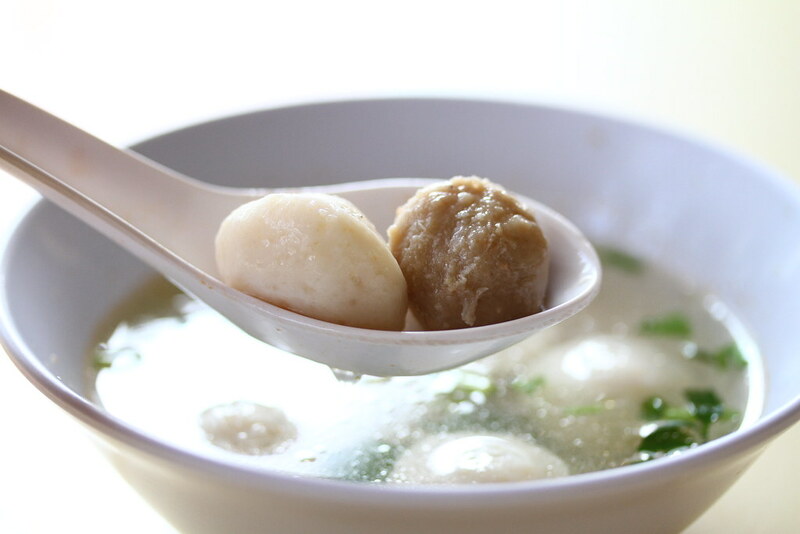 Joo Chiat Chiap Kee in Bedok makes their own dome shape fishballs that is fresh, chewy and gives a satisfying homely taste! Their sambal chilli is to die for. When tossed with my noodles and bean sprouts, it is super shiok. For $3, we get 5 fishballs, worth it right? 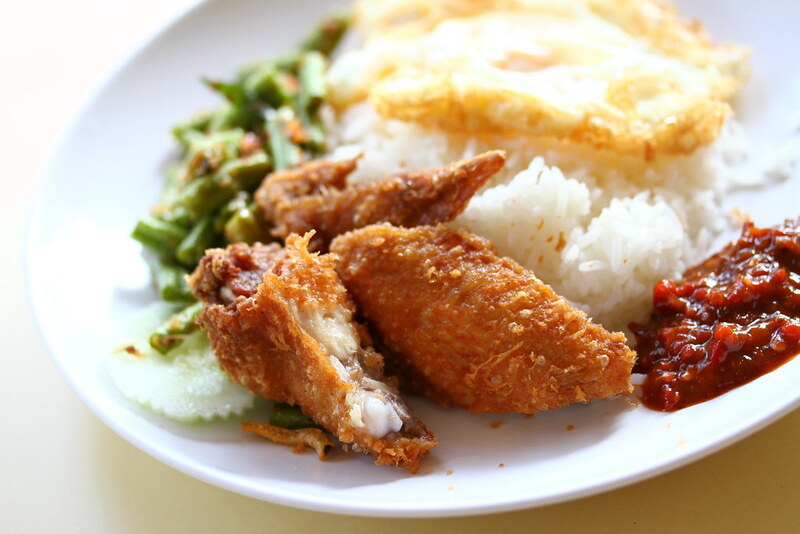 Readers staying in Bedok have definitely heard about Hon Ni Kitchen for its nasi lemak. It is always long queue during lunch and the only time when it does not have a queue, is Sunday. Because the stall is closed on Sunday! Go for their chicken wing, it is deep fried till crispy. Dishes include luncheon meat, fried kuning fish, fishcakes, stir fry long beans, ikan bilis, otah, fried eggs etc. 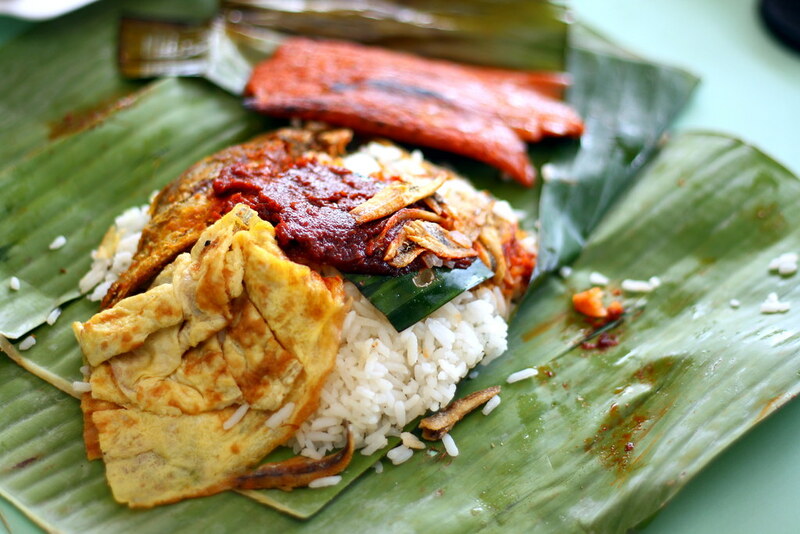 Its nasi lemak is very light and fluffy because they use coconut milk sparingly. The rice is best eaten with their homemade sambal chilli sauce. You name it, they got it! 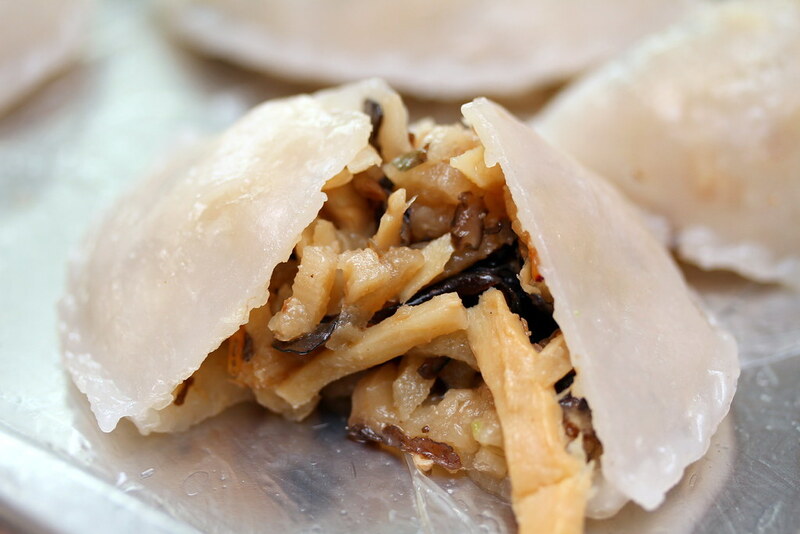 Offering an abundance of rice dumplings with different stuffing, Kim Choo definitely doesn’t disappoint. The ingredients are pretty generous here and very tasty. No matter which flavour of rice dumpling you select, you’ll realize that the rice was not in any overwhelmed by the ingredients. The glutinous rice was soft but compact, with a nice aroma. Each rice grain fully absorbed the essence of the ingredients wrapped within. You get a complete package that’s so flavoursome you can’t just stop at one. Opening Hours: Daily 10am to 10pm. Planning what to do or where to eat over the weekend? We hope this list of breakfast offerings in the East will motivate you to get up earlier and start your day with a bowl or plate of delicious food. This list is non-exhaustive and I’m sure there are some more that we have not discovered.